Although the office is new, Dr. Timko is not new to the profession. She has been in practice for twenty-five years. After graduating from Immaculata High School, located here in Somerville, she went on to Fairfield University where she majored in Biology and minored in Chemistry, Math and Music. 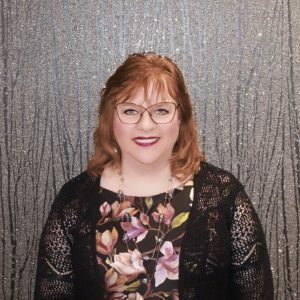 In 1991, Dr. Timko received a second Bachelor’s degree from the Pennsylvania College of Optometry at Salus University and then her Doctorate in 1993. She was the secretary of her class for three years and then was the secretary of the Student Council during her last year. Her internships included one at Lankenau Medical Center for medical eye diseases, the Feinbloom Low Vision Center at Salus University for visually impaired individuals, and a pediatric/vision therapy rotation at The Eye Institute where she received high honors. Over the years, she worked in a variety of places, but the timing was never right for her to start her own practice. Balancing motherhood and a career took up all of her time. Along with her husband, Chris Aleo, who is a physics teacher at Hillsborough High School, they raised their two children: Nick, a French Cuisine classically-trained chef and Melissa, a freshman Nutrition major at West Chester University in Pennsylvania. Now that her children are older and independent, it seemed like the right time to open her own practice. She is very excited that her new office will be able to take care of all of your vision needs. Dr. Timko is a member of the American Optometric Association and the New Jersey Society of Optometric Physicians.